So I am a bad blogger, I should be punished, I have avoided working on my series of articles on grocery shopping (read the first, second, and third stories here) for months because frankly the center of the grocery store is a scary place to visit. I like the perimeter of the store where all the real food lives: meat, dairy and produce; the center of the store is full of cans, jars, boxes and bags many laden with preservatives and other scary things. So here we go! 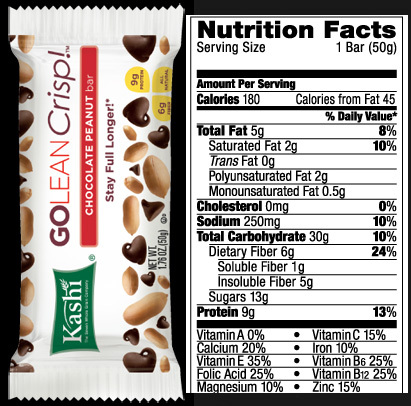 190 Calories, 6 grams of fat, 4 grams of protein and 2 grams of fiber….not so great. 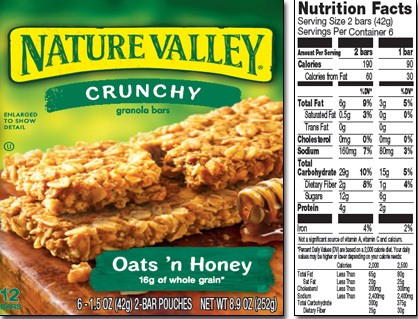 compare the labels between, I think of it as balancing act where I trade calories and fat for fiber and protein. It’s not hard and the good thing is you only need to do it once and then you have your go to brand. Also I try and pick the brand with the least big scary chemicals on the ingredients list; sometimes that is almost impossible. Now it time to head into the center and this is when your list will become your roadmap. So I have a handful of items that I almost always need in the middle of the store, and in the closest Publix to the house I know where to get those items: whole wheat bread, La Croix soda water, canned goods, and frozen veggies. The staples, LOL! The rest of the stuff I need is on my list, so I look up read the sign telling me what is in the aisle before I take one step into an aisle. If I don’t need condiments, then I don’t go down that aisle. It’s that simple. I must not be the only one that refuses to wander up and down every aisle because my store puts the best specials in a little section at the front that I always scope out on my way to the checkout, hey who am I to pass up buy-one-get-one free canned corn? 190 Calories, 5 grams of fat, 9 grams of protein and 6 grams of fiber….that’s a lot better. As for what makes it into the cart I really do follow the granola bar compare and select system for almost everything I pick up in the center of the store. I also will take into account cost and quality, and one of the best things I have come to realize is that the most expensive choice may not be the best. I learned this with canned beans. So I have tried just about every brand of chickpea, white and black beans in the aisle and you know what I have found out? The brands that focus on the Latin consumer market are the best. I guess if you want to sell beans to a consumer that comes from a culture that has a long history of using them in their cuisine your company better sell some good beans. Thank you to Goya and Iberia, for your cheap and tasty products. In the spice aisle check out Badia brand, the company is based in Miami and focuses on the Latin market too and in a grocery store I think they have the best and freshest spices available at great prices. I wonder if these brands are better quality because as smaller companies they don’t have to produce as much quantity or if it’s because many Latin consumers come from countries where food products are less adulterated than here in America. The items from the middle of the store I keep in my house are mostly staples for the pantry. They are basics that I take for granted, and that I always have on hand (some of this stuff I get at Costco). I am careful to make sure I never run out of these items, so I take a quick inventory of the freezer and pantry before I leave for Publix to check levels. Frozen corn, peas, soy beans and spinach, because a handful of any of them can help a salad, soup or dish go from bland to colorful and healthier in seconds. Canned veggies, around here we try to go mostly fresh but corn, beans, hot chilies, and tomatoes are prefect for many uses right out of the can. I also always keep chicken and beef broth on hand just in case I am low on homemade. I also have the usual suspects: peanut butter, cereal, condiments, crackers, grains, spices, pasta, and nuts for baking or snacking. I also try and keep everything on hand to whip up cookies, pizza dough, or a cake. That is really it. I just don’t buy process stuff like lunchables. Am I mean and unbending about this? No! If there is a sale on salt and vinegar potato chips I will grab a bag same goes for ice cream and other fun treats. But I try and go for the least processed, like the Cape Cod brand chips. In the ice cream sections I try for pre portioned deserts that are around 130 calories. Lately I we been loving the Diana’s Bananas frozen chocolate covered bananas, tasty and unprocessed, just chocolate and bananas. It’s not about stripping everything out of the house it’s about finding alternatives so the family doesn’t really miss the processed crap. 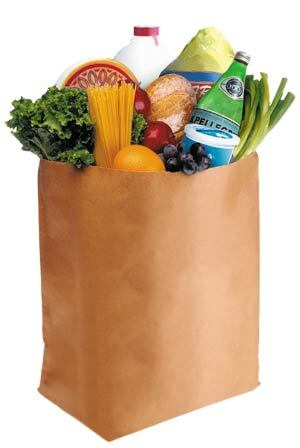 Self-control is the last tip I have for navigating the grocery store minefield. If you don’t need it and it’s not on your list don’t buy it. I give myself about 2-3 impulse items on a large shopping trip, and that’s it. I normally opt for something special or something on sale as the impulse buy. If my brand of peanut butter is on sale for half price, it’s time to stock up! If the store has a huge shipment of local produce like winter sweet corn or honeybell oranges I will grab those for my cart. That’s it you’re done, hit the checkout and don’t forget to pass over your reusable bags and remind the bagger to put the raw meat in plastic to keep your bags clean. Next time I am feeling like I want to dispense some more shopping advice I will be writing about my reasons for buying certain items at certain stores: Costco, Publix, local markets or Whole Foods. Stay tuned.